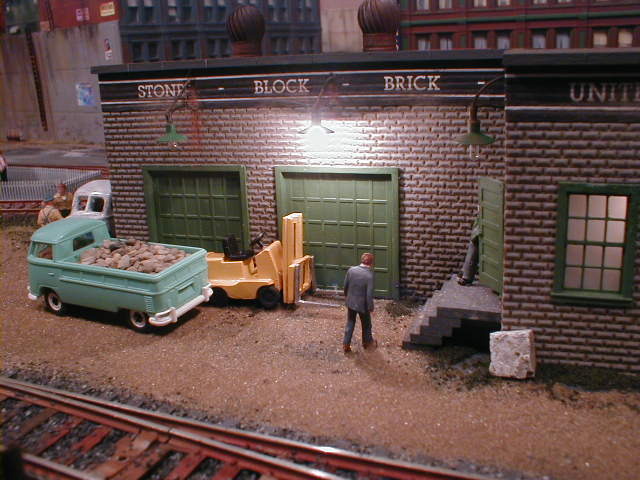 The tracks into Arcadia run right through United Architectural Stone Co. When trains run by the office the coffee cups rattle across the desks. (I'd love to work there!) The property runs about a quarter of a mile along these tracks where flat cars are unloaded and cranes move large stone products on trucks for delivery throughout the Hudson Point area and as far away as Friendship Heights. .